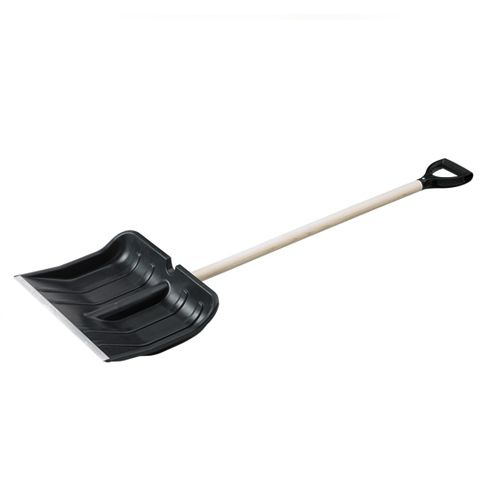 Lightweight shovel with large scoop for maximum snow removal. Metal front edge for more durability. D-shaped handle for comfort and easy accessibly.